The Social Good Foundation Inc. has just announced that they have entered into an agreement to list the cryptocurrency SocialGood on the large cryptocurrency exchange "DigiFinex" based in Singapore and "LATOKEN", which has a broad customer base mainly in Europe. DigiFinex is an exchange that lists cryptocurrencies from around the world and was ranked as one of the top 5 exchanges worldwide* in regards to the total amount of daily transactions etc. 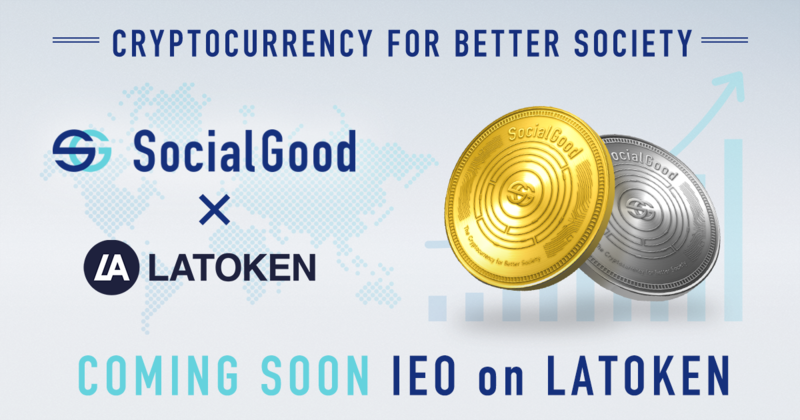 We have entered into a comprehensive agreement with LATOKEN to support the SocialGood cryptocurrency expansion, which includes an Initial Exchange Offering (IEO). The schedule of each exchange listing will be posted later. In addition to the above, we have already signed contracts with several major cryptocurrency exchanges, and will make further announcements at a more appropriate time. We appreciate your continued support of the Social Good Project.